Cairo- “Egypt is still an appealing global touristic destination” These words spoken by the Egyptian Minister of Tourism have turned into facts over the past weeks. Cairo and other Egyptian cities have attracted tourists and celebrities from across the world, in line with the touristic recovery in the country, which led local experts to assert that the tourism giant has awakened. The sector was revived after some celebrities visited the Egyptian pyramids, one of the world seven wonders. These celebrities, like Barcelona FC star Lionel Messy, German Chancellor Angela Merkel, Hollywood star Will Smith, took pictures that went viral on social media. 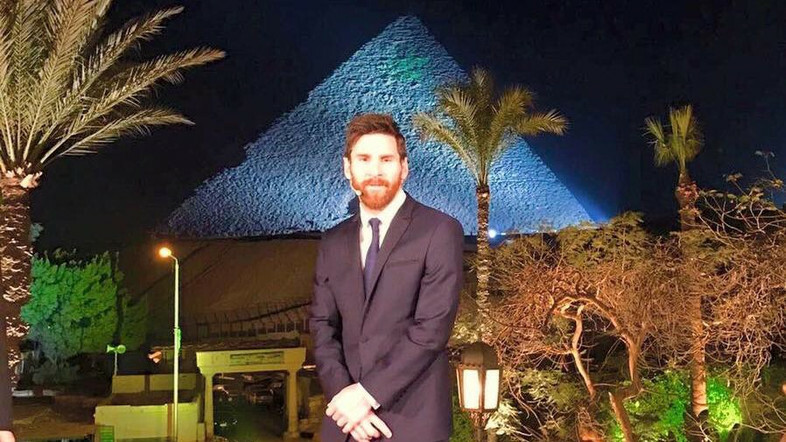 Other stars who visited Egypt were attracted by other touristic sites in it such as Aswan and Luxor to wander in the heart of Pharaonic civilization. Few days ago, Luxor city hosted the Indian Star Amitabh Bachchan and Prince Henrik of Denmark with his wife who enjoyed great trips in the Nile River. These visits didn’t make headlines only in the Egyptian media, but also in Western social media outlets, boosting Egypt’s popularity. The recovery in the country’s tourism sector can also be measured through other indications like increased flights and hotel reservations, according to figures issued by official authorities. This recovery has been the result of efforts made to provide a touristic atmosphere in the country and attract investors to this sector. The Egyptian Tourism Authority is currently negotiating with owners of the “Mall of Egypt” to transform the mall into an international touristic destination having the first-of-its-kind ice-skating center in Egypt and Africa. Egypt recently partook in the events organized by the International Tourism-Bourse (ITB) held in Berlin, where Egyptians sought to introduce the national tourism product, showcase security and safety measures adopted by the Egyptian government in airports, and stress the positive security developments witnessed in Egypt recently. Officials and local experts see these visits and activities as indications of the recovery of tourism in the country and a positive message showing the world that Egypt has regained its stability and security after months of political destabilization. For its part, during his participation in the ITB, Tourism Minister Yahya Rashid said that the small campaigns to change Egypt’s image fulfilled their goals, and that was emphasized in media reports prepared by Arabic and foreign media outlets on the positive developments on the Egyptian tourism recovery. Adel al-Jundi, Director of the Department of International Relations and Strategic Planning in the Egyptian Ministry of Tourism, asserted that the country has seen a flow of tourists in the past two months, mainly from Italy. He also revealed that the Egypt- Russia travel ban is over and flights are expected to resume soon.